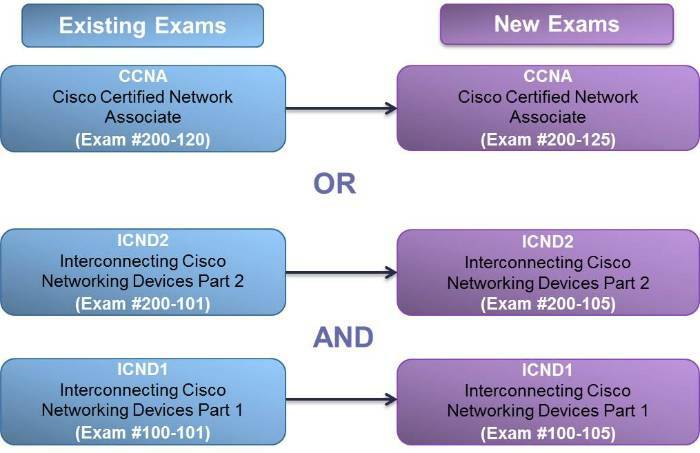 The CCNA Routing and Switching exams and trainings are being revised from v2.0 to v3.0 Candidates can choose to take either the version 2.0 exams or version 3.0 exams. The last day to test for the 200-120 CCNAX v2.0 and 100-101 ICND1 v2.0 exams will be August 20, 2016. The last day to test for the 200-101 ICND2 v2.0 exam will be September 24, 2016.